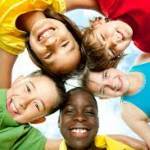 Child and Adolescent Psychotherapy is a specialised area of practice. This Master’s programme will equip learners with the necessary knowledge, skills and competencies to meet the therapeutic needs of children and adolescents. to Master’s level and work with children and adolescents. An honours degree, Level 8 on The National Framework of Qualifications (NFQ), in counselling and psychotherapy, or equivalent. recognition standards (or equivalent). The diploma must have counselling and psychotherapy at its core. The programme is facilitated through monthly three day blocks (usually Friday – Sunday). This part-time programme consists of ten modules over 2.5 years. It is a taught Master’s with a strong research component. The programme utilises a continuous assessment strategy and learners accumulate credits though a variety of assessments over the duration of the programme. as they extend the scope of their practice to work with children and adolescents. assessments, case studies and process recordings, written assignments, essays and a research portfolio. This module aims to give the learner a solid foundation in the theoretical and clinical underpinnings of child and adolescent counselling and psychotherapy, with a particular focus on Geldard and Geldard’s Sequentially Planned Integrative Counselling for Children (SPICC). The purpose of this module is to equip learners with the necessary skills, knowledge and competencies to integrate CBT into their practice with children and adolescents. Learners will be able to intervene, utilising this framework, applying it to clinical work in a real-world setting. The purpose of this module is to examine the psychological, social and environmental factors that can impact on development, and to explore how disruptions to same can impact on mental health and well-being in children and adolescents. The purpose of this module is to provide learners with the skills, knowledge and competencies to employ play, creative and expressive interventions in work with children and adolescents. Learners will be able to intervene, utilising creative methods, applying it to clinical work in a real-world setting. The purpose of this module is to further develop and hone the clinical skills required for working with minors. Learners will be required to demonstrate application of theory and skills in a real-world setting. This module is designed to help students appreciate the philosophical foundations for conducting research with children and adolescents and to understand why and how research is carried out in counselling and psychotherapy. This module will give students a practical hands-on introduction to the process of counselling and psychotherapy research and an opportunity to develop and refine some of the core skills. The module will aim to support learners in reflecting critically on being a research-informed practitioner and in utilising research methods appropriate to counselling and psychotherapy. The purpose of this module is to provide learners with the necessary knowledge, skills and competencies to integrate solution focused brief therapy into clinical practice with children and adolescents. The aim of this module is to provide learners with ample opportunity to examine theory and practice issues in clinical work, including consideration of power, multi-agency working and assessment. The purpose of the module is to encourage learners to engage in evaluative case related discussion based learning, which highlights elements of dialogue, critical discovery and community based scholarly activity to probe and develop clinical placement and counselling and psychotherapy skills and practice as they relate to work with children and adolescents. This module affords learners an opportunity to conduct a piece of independent, practice based research under supervision. This module will foster and develop a high level of independent research ability and skill, and to further develop student skills in the conduct, presentation and reporting of qualitative, quantitative or case-based research. This module also assists students with the intellectual process of conducting a research project by promoting their ability to read widely on a subject, to analyse various arguments and to relate them to their own work. The portfolio will demonstrate the learner’s capacity to use practice to inform research and use research to inform practice. To apply for a place on this course, please download, complete and return the below application form along with the required documentation and application fee for the attention of: Tríona Kearns, Registrar and Dean of Academic Affairs, IICP College, Killinarden Enterprise Park, Killinarden, Dublin 24. There is a high demand for this programme, so early application is always advisable.